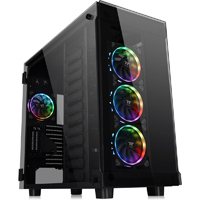 Thermaltake adds the new Thermaltake View 91 Tempered Glass RGB Edition Super Tower Chassis to its TT Premium lineup. Its a 16.8 million-color RGB-imbued XL-ATX tower featuring three 5mm thick tempered glass panels (front and both sides) and 4 preinstalled Riing Plus 14 RGB fans (three at the front and one at the rear). 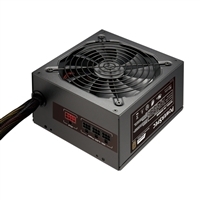 Comes with a USB type-C receptacle on the top panel plus dual liquid cooling capabilities to offer extraordinary LCS flexibility.